Marc Jacobs Accomplice Summer 2019 collection debuts with two products that are must haves for your makeup routine. 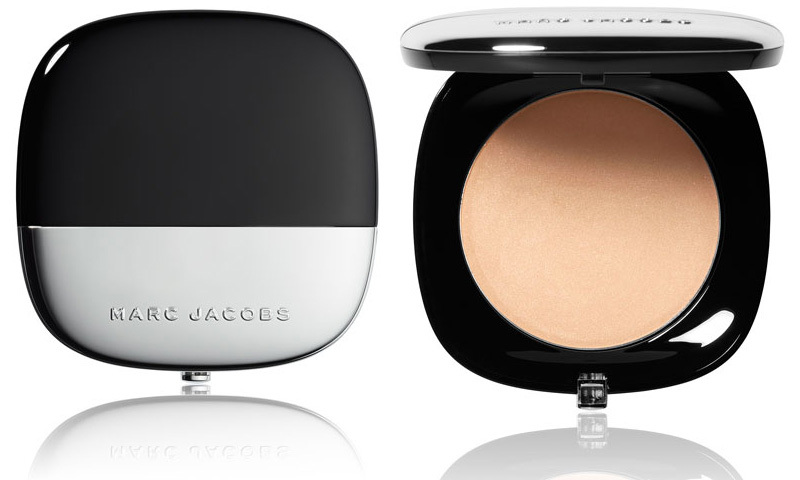 We have the new Marc Jacobs Accomplice Concealer stick and four shades of Accomplice Blurring Powder. 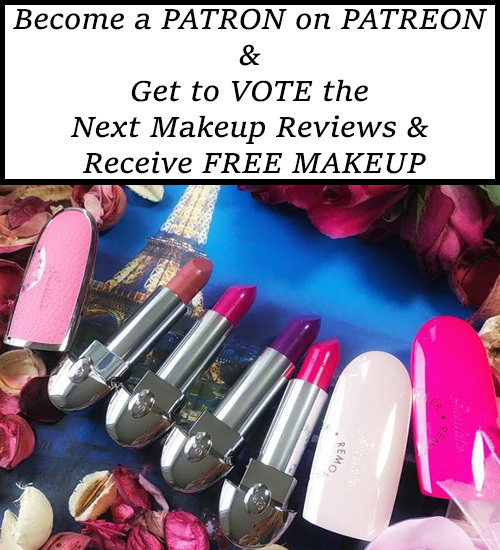 I also have swatches waiting for you after the jump! A blurring, touchup powder in a chic compact with a built-in brush that sets, blurs and reduces the look of shine, perfect for on the go. This is your statement compact. 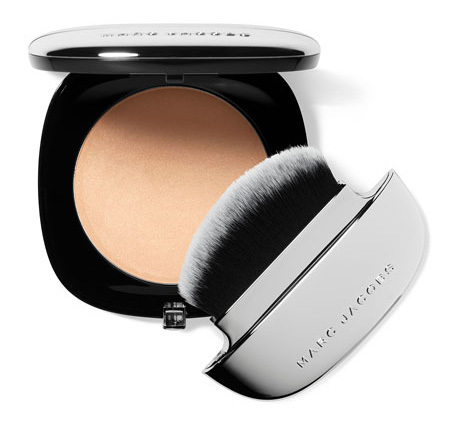 Totally chic, like a favorite accessory, Accomplice Instant Blurring Beauty Powder makes touchups effortlessly glamorous. Sweep it on with the built-in brush to give skin a warm, allover glow. It contains just a hint of perfecting pearl pigment to diffuse light and filter away the look of imperfections. 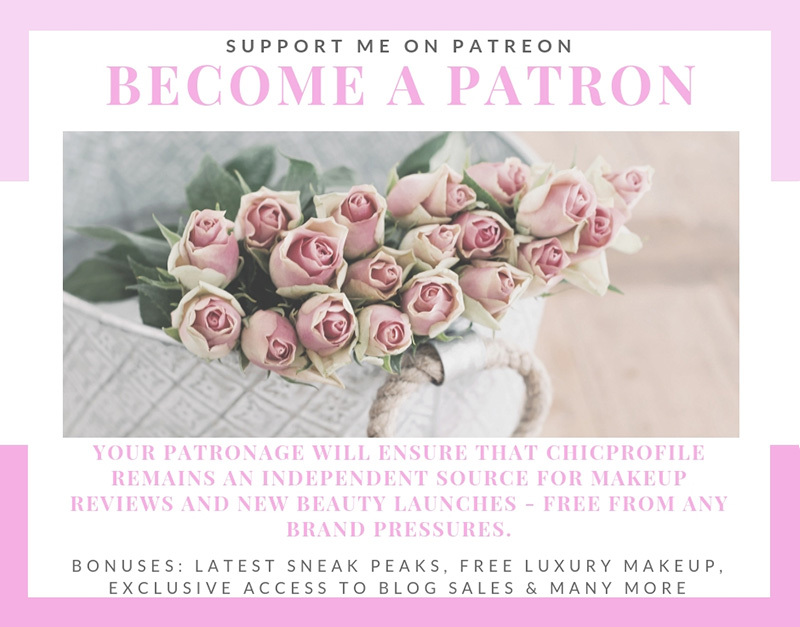 In the morning, use it to set and finish your makeup, as well as throughout the day to touchup and reduce shine without looking dull or cakey. It’s available in four flattering shades, with each shade spanning multiple skin tones. Take this magic skin filter wherever you go to touchup on the run. 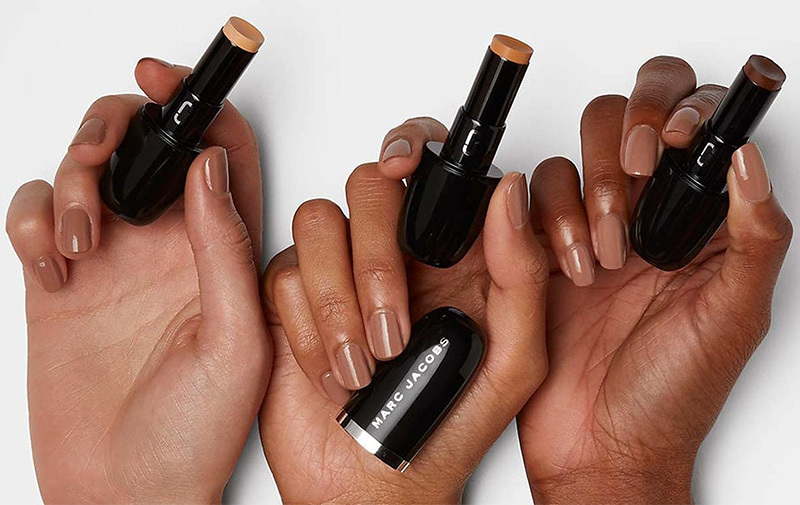 Marc Jacobs Accomplice Concealer & Touch Up comes as a stick concealer and will be available in 17 shades from light to medium and deep tan. 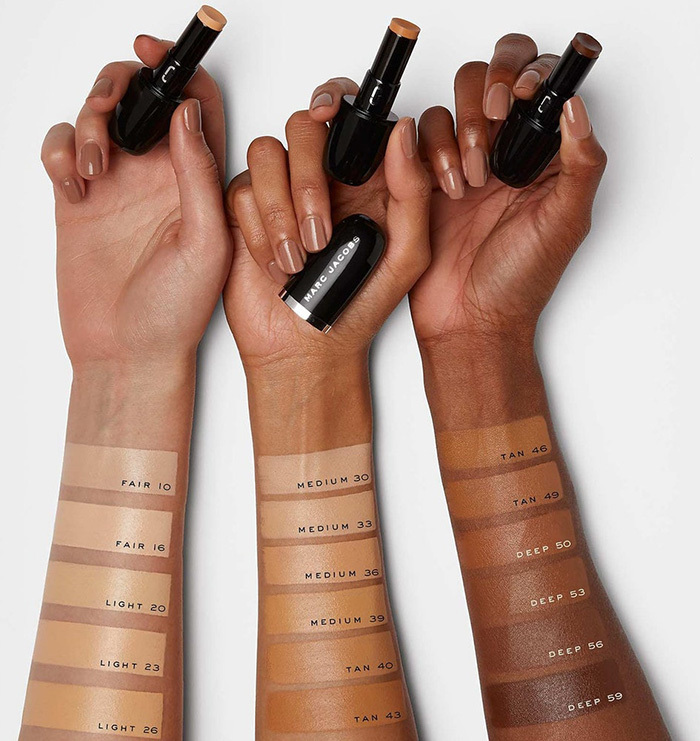 It has already launched at SEPHORA while other retailers will have to wait until May / June 2019 to see this new Accomplice Concealer on their counters. The concealer is formulated with the popular — yet still slightly unknown — skin care ingredient, written as “Tremella fuciformis polysaccharide” in the ingredients list. The gelatinous fungus performs much like hyaluronic acid, a hydrating hero anyone with dry skin knows well. So, when you add that to concealer, the snow mushroom plumps skin up with moisture from the inside out, giving you a smoother canvas that won’t crease or look cakey throughout the day. Check out the swatches of Accomplice Concealer right bellow.